soul eater. . Wallpaper and background images in the soul eater club tagged: soul eater. This soul eater fan art might contain anime, banda desenhada, manga, desenhos animados, mangá, and quadrinhos. Soul eater evins lovs whoffls ya. Soul must eat maka panckas becus they test good. 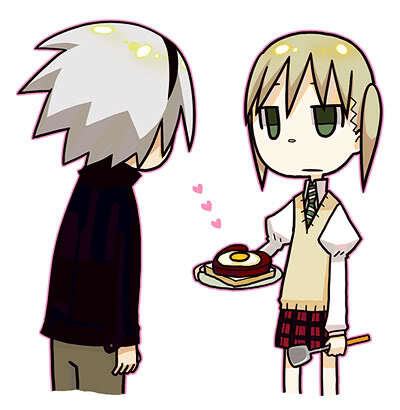 Soul eater evins loves panckas and maka hats soul over pancks.